A big joke made rounds about Sri Lanka sending out two opposing but official teams for the ongoing Fortieth UNHRC Session in Geneva; one by President and another by PM. A brief stroke of sanity changed this and Sri Lanka sent one team to Geneva. What they would say about the UNHRC Report on Sri Lanka and the new Resolution 40/1 this time led by Canada, Britain, Germany and a few more countries isn’t clear, except that this Government is broadly in line with it. This whole hype about the International Community demanding accountability and good governance from Sri Lanka since the conclusion of the war in 2009 May, does not lead Sri Lanka to any sanity in political life and in its Governing culture. This International Community which is basically the Western Power Bloc has never provided any space for accountable and decent governments anytime anywhere in any part of the globe. Financially controlled by this Western power bloc, the UN and its agencies have never been able to peacefully settle any conflict in this post WW II history while it lent covert support for change of governments in the poor and developing world. UN decisions are very much influenced by the US administration. That makes no difference in who sits in the Oval Office. It was no different with George Bush Jnr. and with Barak Obama. It was no different during the Cold War period and now after the end of the Cold War from 1991. Over the last 77 years since the first declaration in January 1942, or from the formal establishment of the UN in 1945, this world body with 193 Member States by now, has been a colossal failure in spite of its massive growth into a giant bureaucratic organisation in establishing its mandate; Global Peace. These nine conflicts alone had led to the deaths of more than 98,200 civilians during 2018 only. Sadly, Uppsala have not included the Israeli-Palestinian war that has had 131 Resolutions adopted by the UN Security Council since its first Resolution in November 1947. The Israeli-Palestine conflict has resulted in over 10,000 Palestinian and around 200 Israeli children being killed by year 2012. Maimed, blinded and seriously injured children not counted. The UNHRC since its creation in 2006, had adopted more Resolutions condemning Israel than all other Resolutions condemning other countries put together. What can we expect from this UN and its UNHRC? Does it have credible authority to dictate terms to sovereign countries, when it does not show that same authority when dealing with Israel and the US? Invasion of Iraq shows how the US with British collaboration had the UN complicit in invading Iraq to destroy Weapons of Mass Destruction (WMD). While it was later exposed the UN Security Council was provided with fake evidence and there were no WMD, the UN did not even want to accept the blunder they made causing massive damage and destruction to the Iraqi people. Did not even censure the USA and Britain for consciously misinforming the whole world to invade Iraq for their own geopolitical needs. NATO strikes on Libya followed Iraq. Funding and arming Libyan rebels led to total anarchy on Libyan soil. In Afghanistan, the US created and funded the Taliban. Their geopolitical decisions ignore the UN completely and UN member States don’t think they have a right to condemn and censure the big powers openly violating international law. It was on geopolitical needs that the USA kept pressure on the Rajapaksa regime too. The China factor with Rajapaksa was all that they focussed on. 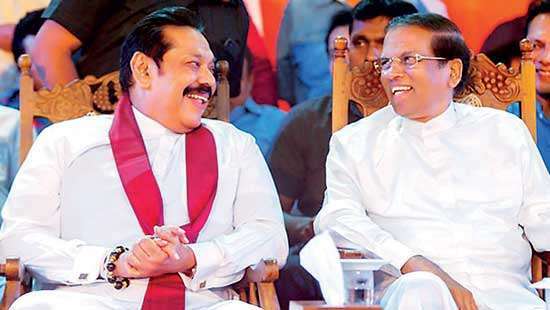 They thus used actual post war issues to develop a strong campaign against Rajapaksa. Their advantage was in Rajapaksa ignoring the necessity to address post war issues democratically. President Rajapaksa’s Sinhala Buddhist politics given crude practical interpretations by his brother Gotabhaya as Defence Ministry Secretary vowed it was a zero casualty war. Gotabhaya believed his war without witnesses could establish there were no crimes committed. Sadly for them, this modern world had more than enough evidence collected through mobile phones and satellite images backed by survivors of the war. They provided more than a justifiable reason for Human Rights campaigns against Rajapaksa using the UNHRC and the heavily funded Colombo based human rights campaigners. Consistent campaigning for over 04 years, this international community led by the US was able to dislodge Rajapaksa from power in 2015 January. Have the US and its allies who moved the Resolution 30/1 in 2014 March for the third consecutive time, achieved anything significant under this government led by PM Wickramasinghe? Untold but plainly evident fact is, the US and its Western allies in fact do not intend going any further with war crimes investigations and accountability issues, now that Rajapaksa had been dislodged from power. Four years gone for now under this government, there are only piecemeal legal provisions adopted every time UNHRC Sessions come around and this government is given more time. The war-affected in North and East reject these cosmetic answers. 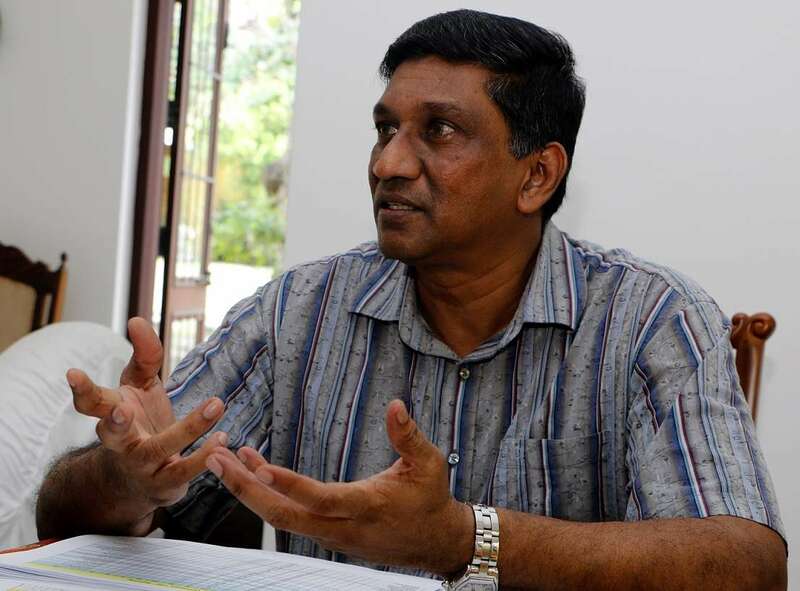 In war devastated Vanni people are on their own, demanding permanent and justifiable answers for their grievances overlooked by both Rajapaksa and Wickramasinghe governments for over nine years and 10 months for now. UNHRC Resolution 40/1 would provide this government another year till elections are concluded, expecting the UNP to return. The war-affected Tamil people are being used by this extremely opportunist Western power bloc to manipulate Governments on their own geopolitical agenda. 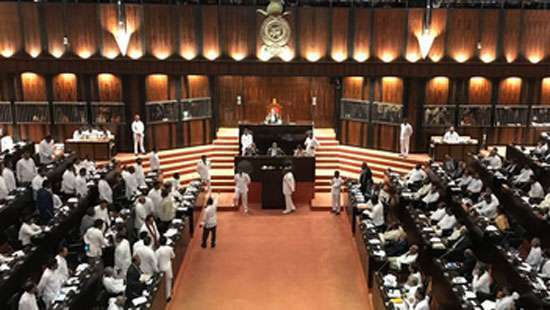 This UNP government as the previous UPFA government nor the next government that would be voted in at the next election, will not implement Resolution 40/1. Both major parties and their small allies are racially biased and corrupt. They lack the political will and the vision of the New Zealand Prime Minister Ms Jacinda Ardern who after the attacks on 02 Muslim mosques in Christchurch on Friday 15 March, took responsibility for the safety and security of all Muslim people in her country as equals and as New Zealand citizens who have the right to live and practise their religion without hindrance. She as PM rallied New Zealanders in support of the Muslim community. Politics in Sri Lanka is not that of Jacinda Ardern. Yet we have Human Rights written into the Constitution, we are signatory to most international conventions and charters that guarantee labour, women and child rights, we stand for ethnic and religious equality and freedom, we have laws for environmental safety. We say yes for everything just, fair and democratic. But respect and honour none. Living with Sinhala Buddhist majority dominance, we don’t believe we want them. Sinhala Buddhist dominance is what PM Wickramasinghe cajoles, when he says it’s he who saved Sri Lanka from direct international probing on war crimes, by refusing to sign the Rome Statute. That is precisely what the US stands for. Having rejected the Rome Statute, President Trump refuses to allow any investigations into US military interventions in Afghanistan or elsewhere by the International Criminal Court (ICC). His Secretary of State Mike Pompeo told media last Friday, The ICC is attacking America’s rule of law.” This was what Rajapaksa said, President Sirisena is saying and the Wickramasinghe government is accepting, with international war crimes investigations rejected. In Sri Lanka it is said in Sinhala to the Sinhala Buddhists whereas the US says it to the whole world in English with arrogance and no shame. I’m announcing a policy of US visa restrictions on those individuals directly responsible for any ICC investigation of US personnel” adding the US would not hesitate to impose economic sanctions if the ICC does not change its decision. It is also extremely important to note the impunity Israel is provided under US patronage. These visa restrictions may also be used to deter ICC efforts to pursue allied personnel, including Israelis, without allies’ consent,” the Secretary told media. Now, what does all these mean to Sri Lanka and to the democratic world? There is no necessity to answer those who brutally violate all laws but demand Sri Lanka respect the law. But that does not allow Sri Lanka to go without answers to war-related issues. We have a moral and a political responsibility to provide justifiable answers to all issues effecting the North and East and they cannot be outsourced. That no doubt needs a decent, respectable leadership much different to Trump and most other international community leaders. They’ve proved they are not the right individuals to follow. All the content on this website is copyright protected and can be reproduced only by giving the due courtesy to ‘dailymirror.lk’ Copyright © 2004 Wijeya Newspapers Ltd. This entry was posted on Saturday, March 23rd, 2019. You can follow any responses to this entry through the RSS 2.0 feed. You can skip to the end and leave a response.